The Grace Brethren Church in Osceola, Ind. (Greg Serafino, pastor) distributed school supplies during the Back to School Bash on Saturday, August 4. Free back packs filled with school supplies, along with hair cuts, games, and just plain fun, at the annual Back to School Bash held August 4, 2013, at the Grace Brethren Church in Osceola, Ind. (Greg Serafino, pastor). Today’s online version of the South Bend, Ind., Tribune, carries a photo album of the event. Click here to see the album. The Osceola Grace Brethren Church held a Back-to-School Bash Sunday, August 4, 2013. The event offered free backpack’s filled with school supplies for K-6th grade children. Click here to see the album. OSCEOLA — For some parents, the back-to-school shopping season seems to come earlier — and get more expensive — ever year. But Osceola Grace Brethren Church helped make the back-to-school rush a bit less stressful, and maybe even fun, for hundreds of kids and parents Sunday in an outreach event that offered free school supplies, food, games and giveaways. 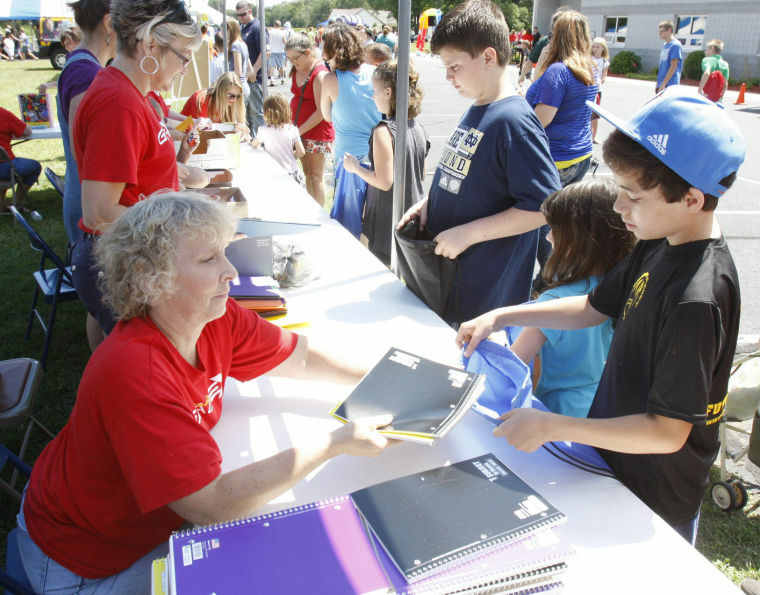 Pastor Greg Serafino said Sunday marked the church’s third annual “Back-to-School Bash,” which first took shape when leaders decided helping children prepare for the school year would provide a greater community service than an annual picnic that ran for about 15 years.